Located at the corner of Route 50 and 522 this third-floor office enjoys some of the best views around. 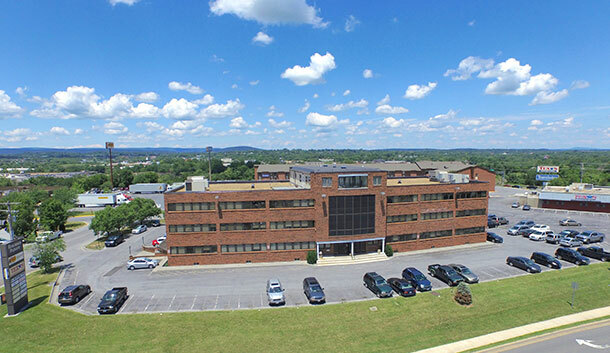 This former Dentist office located at 311 Dominion Square, in Winchester, VA is 1,100 sq ft and includes a reception area, receptionist/File office, 3 examination rooms, Kitchen/lab area, private bathroom, and office. With the highest traffic count (37,000 cars a day), Dominion Square is surrounded by three restaurants, six hotels, Costco, and the Winchester Regional Airport.